The conversation this election cycle has focused on the candidates’ temperaments to “an unusual degree,” said Colgate University psychologist Rebecca Shiner, “in large part because of widespread concerns about Trump’s traits and whether those traits should disqualify him from office.” It feels newly relevant, and yet it isn’t: The discussion of “presidential temperament” is long (it goes back to the country’s founding) and weird (because the political usage doesn’t match up with the scientific understanding, except when it does). The word temperament itself comes from a pre-scientific view of personality: A well-adjusted person would have the right balance of humors (sanguine, choleric, phlegmatic, and melancholic), similar to the way you might “temper” a hot cup of tea with a bit of cool water. To that end, the oh-so-hopeful Thomas Jefferson lamented that his was overly sanguine, in an 1816 letter. In 1838, phrenology was ascending as a pseudoscience, and a practitioner praised the “Firmness” of then-president Andrew Jackson’s head, saying “General Jackson possesses an enormous development of this organ, and is singular for his obstinacy,” as John Kelly quotes at Slate. (It draws an eerie 19th-century parallel to the Donald’s favorite doc dashing off a note about how he’d be the healthiest president ever.) In modern psychology, temperament retains a bit of its alchemical flavor, in that it’s the raw, genetic ingredients of character that are there before a human meets the world. Harvard University professor emeritus Jerome Kagan, who’s spent half a century studying child development, says that temperament is “an inherited set of biases” that a baby has at the outset, though nobody knows quite yet what the genetic components are. As soon as the bun is out of the oven, you can see how irritable the baby is, how active the baby is, how hard it is to soothe, how restless it is. In a classical example, if you were to make a loud noise in a room full of newborns (not recommended), some would turn toward it and others away. The tots who turned toward would be more likely to end up extroverts, while the ones that turned away would turn out introverts. But that baby isn’t born into a vacuum; it’s born into a family. Then come friends, schools, childhood, adolescence, coming of age, which lasts until about 30. Those experiences “sculpt” the personality out of temperament in the way a sculptor reveals forms from a block of marble, Kagan says, and you could end up with a personality resulting in impulsiveness (“which applies to Trump”) or carefulness (“which applies to Clinton”). Temperament is innate, personality is shaped. But, given that Trump is 70 and Clinton is 68, you can’t see what their temperament truly is, he says. Hillary Rodham could have learned her preparedness in the cradle, or in the trials of middle or high school. While Donald Trump’s babysitter was worried that the then-5-year-old would panic on an “urban safari” down into a city sewer, “little Donny Trump kept walking into the gathering darkness,” Paul Schwartzman and Michael E. Miller reported for the Washington Post. In prep school, he tried to push a rival cadet out of a second-story window — but two classmates stopped him. But the right data just isn’t there; we don’t know what they were like in infancy. Still, Kagan says, temperament does shape the choices people make in life. If you were to compare the adults who became presidents and the adults who became librarians, it’s pretty likely that they had different temperaments as infants. A person who decides that they want to be president as a young adult or adolescent has a “temperamental bias,” he says — they’re the kind of person who finds it easy to cope with anxiety or frustration. Someone who prefers to work alone and on their own time — novelists, research scientists, and the like — is probably less biologically given to tolerating uncertainty. The preternaturally confident type is represented by an Andrew Jackson, Teddy Roosevelt, John F. Kennedy, or, Kagan notes, a Bill Clinton, who said that he wanted to be president at age 16, after shaking Kennedy’s hand. In his book The Long Shadow of Temperament, Kagan and his co-author Nancy Snidman track a group of 400 children for over 20 years. They measured their temperaments at 4 months, and a little under a quarter of them were “low-reactive,” meaning that at 4 months, they’d be relaxed in the face of things that would make most kids cry or get upset. At 2 years they were fearless: If something strange happened in the lab, they’d go investigate. At 15, they were interviewed in the safe space of their homes, and the last question was about what they wanted to be in their adult lives. The researchers got 200 different replies. Only one child said with seriousness to the interviewer that he might become a politician, maybe even president. Shiner, the Colgate psychologist, who is also co-editor of the Handbook of Temperament, takes a slightly different view of temperament, saying that personality traits are “the more full expression of earlier temperament traits.” They emerge in two phases: extroversion, neuroticism, and conscientiousness all show up in infancy. Positive emotionally matures into assertiveness, negative emotionality into anxiousness, conscientiousness into striving as people get older. Openness to experience, and its expressions of intellectual engagement, curiosity, perceptiveness, and originality emerge later in childhood, she says; as does agreeableness, or your concern for others, and disagreeableness, or your levels of hostility, aggression, and self-aggrandizement. “As people grow throughout childhood and adolescence, they begin to be able to display the traits in a broader range of tendencies, simply because they acquire new capacities, and those new capacities allow them to express their underlying tendencies in a broader range of ways,” Shiner explained in an email. “A a child who is high on the trait of negative emotionality/neuroticism may be anxious and easily distressed; he may shrink from new situations in fear and cry about things that don’t bother other children. As that child gets older and becomes more able to think about himself and about the future, that same underlying tendency toward negative emotions may be expressed in more complex ways, for example, in feelings of insecurity, vulnerability, worries about failing, concerns about uncertainty or social acceptance, or sensitivity to criticism.” Still, she says, those traits aren’t immutable; they can change over time – though it gets hard to change as you get older. As one Cambridge personality psychologist half-jokingly told Science of Us, after 30, “you’re doomed!” What you’ve got then, that’s (mostly) it. While it’s irresponsible to do diagnosis from a distance, it sure does appear that whatever happened in the collision between Trump’s genetics and his upbringing has begotten a thoroughly outlier candidate. One excellent Atlantic analysis, for example, found that Trump’s personality is marked by “narcissism, disagreeableness, grandiosity,” which sounds about right, given the surprising and fascinating ways narcissism can manifest itself. Shiner, the Colgate psychologist, notes that Trump’s traits “truly are unusual” among the people who become modern presidential candidates. 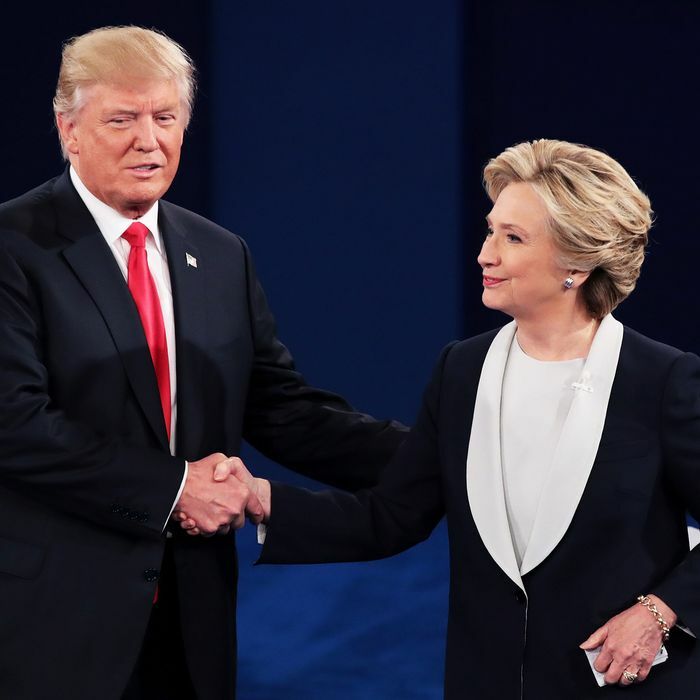 “He is unusually low on aspects of conscientiousness (for example, impulse control, attention span, responsibility) and agreeableness (for example, concern for others, considerateness, lack of aggression) compared to most presidential candidates,” she notes. There has been a limited, but quite fascinating, bit of work around presidential personalities. Shiner points to a 2000 study that assessed the first 41 presidents by personality inventory and compared them to “greatness” as described by historians. Presidential greatness, according to this study, was predicted by assertiveness, gritty persistence, sound judgment, coping well with stress, caring about the less fortunate, knowing what it was they felt about things, high energy (hey Jeb! ), and openness to new perspectives. And quite interestingly, she notes, negative emotionality or neuroticism wasn’t related to greatness — you can be a successful president and still be anxious and prone to depression, like a certain Abraham Lincoln. Indeed, as one historian so convincingly argues, melancholy may have “dripped from [Lincoln] as he walked,” as his law partner noted, but his lifelong intimacy with suffering gave him the capacity to stare one of mankind’s greatest evils in the face. And then defeat it.